The World Of Dating - Scary Or Exciting? Is Your Dating Life What You Want It To Be? Being single in movies and sitcoms is usually portrayed as being pretty fantastic. The characters easily meet new people to date, go on exciting adventures, and then humorously share their experiences with great friends. That’s not how it was for me! When I was stuck in shyness, an opportunity to a date a woman came along once in a blue moon. Even then, it was never a woman I was choosing, just any woman who was motivated enough to approach me. Put myself out there and go ask a woman I liked for a date? Get outta’ here! No, I waited patiently. I didn’t know how the dating game worked, so I sat on the sidelines, waiting and hoping something “magical” would just happen. But, of course… it didn’t. Not until I drastically changed two things. And if you’re stuck right now in your dating life, I guarantee you’re lacking in these two things. Whether you’re completely on the sidelines and rarely dating — or you talk with women but never seem to get a second date and always end up in the “friend zone” — then what I’m going to share below will help you change everything. Now, it may be true you’re overweight, or nervous, or not the spitting image of Brad Pitt from Fight Club… but that’s not why you aren’t dating the women you want. Those are just false stories that keep you stuck forever! How do you relate to risk in your life? Do you take risks? Do you avoid them? Do you hate taking a risk? Find it exciting? Dislike it but do it because you want the reward? No matter how you feel about it, the fact is life is full of risk. Anything worthwhile — asking a woman out, pursuing your dream job, asking for a raise, moving to a new city — involves a risk. And dating is no different. Imagine you see a stunning woman across the way. It doesn’t matter where — a coffee shop, a gathering at a friends house, or even walking down the sidewalk. Something inside of you tells you you want to meet her, get to know her, be with her. How would you make that happen? Through risk! And lots of it. There’s the risk of starting a conversation with her (she could reject you!). Then there’s the risk of trusting fully and building a life together, asking her to marry you, having kids and raising a family together… and on and on. Risk after risk, after risk. And if you hate risks or avoid them, then this is a long uphill struggle. Ugh, all those possibilities for rejection? No thanks! I’ll just stick with my, “I’m too short” story. That way, I can avoid all those risks and have a good reason for it. But that’s not how you really want to live, is it? And that’s exactly what you must do if you want to transform your dating life. You must start taking risks! You must make eye contact with women, smile at them, introduce yourself to them, start conversations, make jokes, tease them, flirt with them, and make your desires and hopes known (if you hide them too long you just end up in the friend zone anyway!). 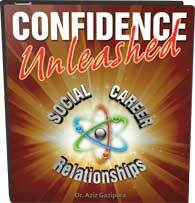 If the idea of taking risks terrifies you, then you have to check out Confidence Unleashed. It will transform how you relate to life and inject you with a new level of boldness and courage! If you have no idea how to talk with women, meet them casually, flirt, and enjoy the dating process, then 30 Days To Dating Mastery will guide you exactly along that process. Stay with me for a minute. When most guys hear, “Oh, just be yourself,” it’s usually some terrible advice a well-meaning female friend gives them when she sees them failing with women. You can’t “just be yourself” when you don’t have access to all of yourself. When you’re not able to be all of who you are — serious, silly, spontaneous, bold, funny, confrontational, assertive, and everything in between — then you’re stuck just being a part of yourself. Usually the nice, friendly, and approval-seeking part. If I’m really nice to you and tell you how amazing you are and how much better you are than me, then you’re bound to like me! And how well does that work with women? No, what I’m talking about here is challenging your fears enough so you’re able to be all of yourself. That means you’re able to be a nice guy, but you’re also able to be selfish. You’re able to be sweet to her, but you are also able to tease her and flirt a little. You’re able to be agreeable, but you can also disagree with her (or anyone), and stand up for your opinions. Most of all, you’re able to see yourself as a powerful, desirable man who’s capable and highly effective in the world – not just with women, but in all areas of your life. 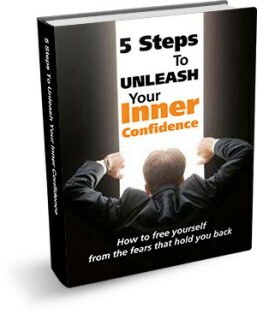 To get to this level, go through Confidence Unleashed, which will help you drastically change the story you have about yourself. Let’s face it, your social abilities matter. And there are very specific sets of social skills to know how to meet a woman, start a conversation (and not come across as too desperate or needy), and get dates. If you’re taking the risks and meeting women, but not having much success beyond getting a phone number (i.e. no second dates), the most likely you’re doing something subtle that’s repelling the women you’re most attracted to. Sometimes it’s hard to identify what it is, and that’s incredibly frustrating. This happened to me for several years. My terrible story aside, in reality I was just doing some really simple things wrong. I was too hung up on getting her approval. I was too accommodating. I was trying to be whatever I thought she wanted me to be. And many more little things just like this. All of these things are specific social skills you can learn to improve your success with women. As you do, it’s amazing how rapidly things can change! I paused and turned around to see two beautiful women walking towards me. Do they want to sell me something? What’s happening? Does not compute! It turns out they had been behind me in the line at the supermarket. They saw me flirting with the cashier (who happened to be a cute woman I was playfully teasing about her counting abilities). Something about my energy when interacting with her made these two women want to come interact with me. Woah! I am not a dating guru. You don’t have to use some sort of secret pickup line or magical powers. You can get there all by being yourself. And the fastest way to do that (other than working with me one-on-one in private coaching) is to get 30 Days To Dating Mastery, which will guide you step-by-step with daily Strategy Sessions and Missions. If you’re ready to take your confidence building to the next level, personalized confidence coaching, one-on-one with me, is the surest and fastest way to results that stay with you the rest of your life. Worried About Texting Too Much Or Too Soon?